This finely crafted boxed set of dominoes is made exclusively for us in the Texas Dept. of Corrections rehabilitation shop. 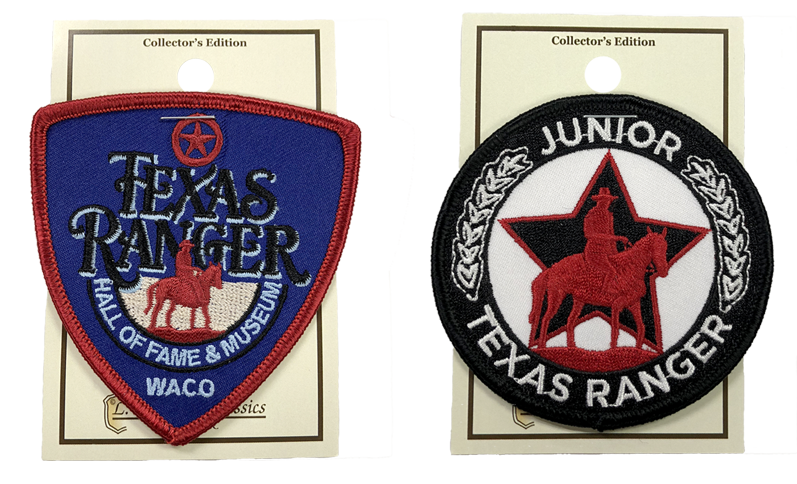 Constructed of fine wood, the handcrafted set features a Texas Ranger emblem on the lid and each domino. 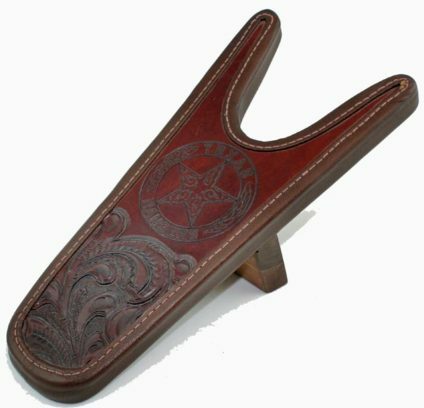 Each boot jack is made exclusively for us in the Texas Dept. of Corrections rehabilitation shop. 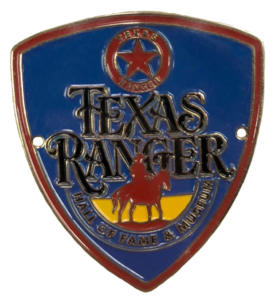 Constructed of wood and fine leather, it features a Texas Ranger emblem. 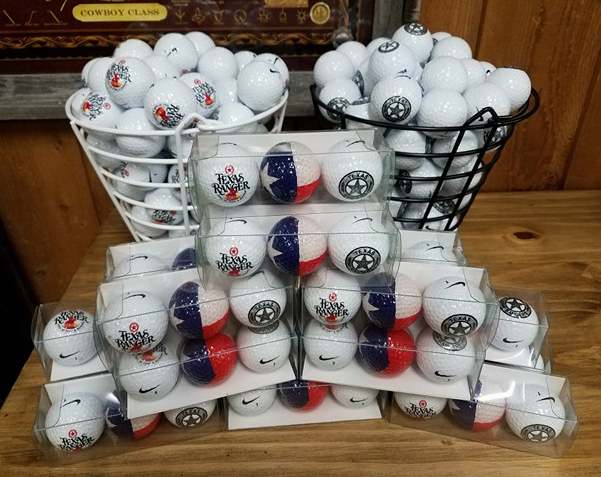 These Nike golf balls are sold individually with either the museum logo or the Texas Ranger emblem on one side or in box sets of three designs: logo, emblem and Texas flag. Made by L.W. Bristol Classics in Bristol, Tennessee. Each patch is 3 inches wide. Decorate your walking stick with our new collector's edition medallion. They are also good for being glued to flat surfaces. Comes with two finishing nails. Medallion is 1-5/8 inches wide.